An abandoned 1920’s gas station complete with tin ceilings and garage door sized windows was transformed by Connor Architecture into and exciting campus destination for students to gather. Located on the corner edge of campus this new coffee house bakery is part of an ongoing transformation of the neighborhood surrounding campus. 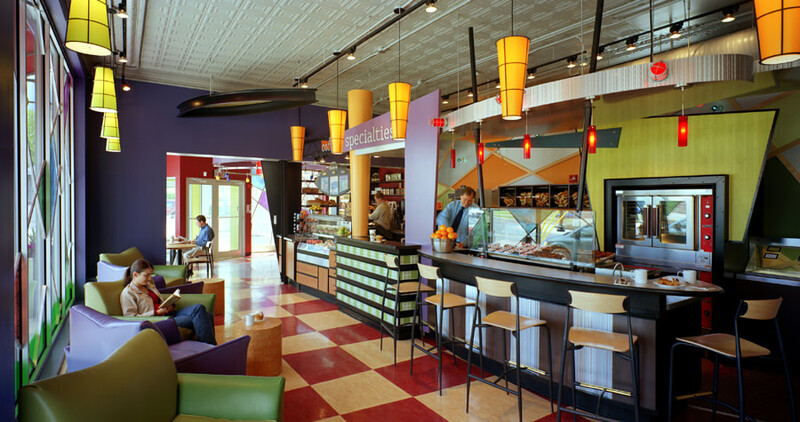 The new exterior patio cafe and interior plan included vibrant lighting fixtures, colorful textures and countertop, and diverse comfortable seating. 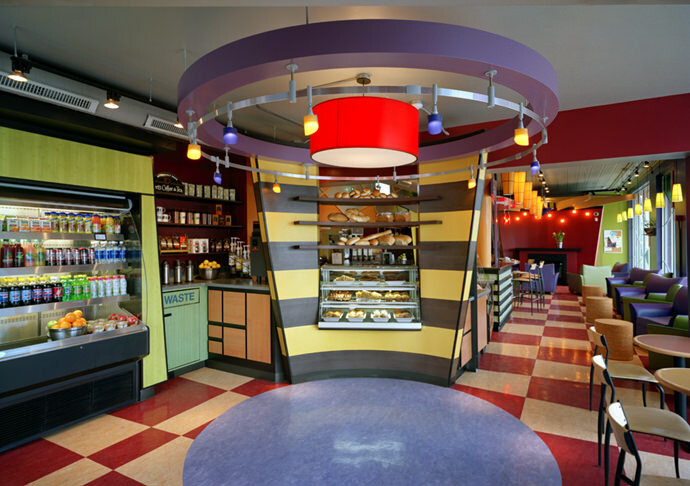 The café offers a broad and diverse menu featuring fresh baked breads and sandwiches, hot cinnamon buns as well as a fully outfitted barista. 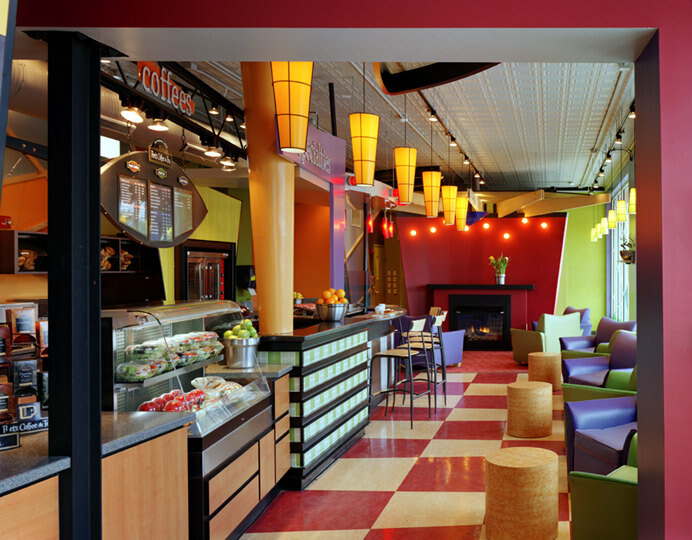 Java ++ is a campus destination that fulfills student’s menu needs while satisfying their desire to relax by a fire.